Heavy-Duty Tensioning Strap. Four adjustable retaining clips- two tensioning straps and four belt eyelets to secure even bulky loads. 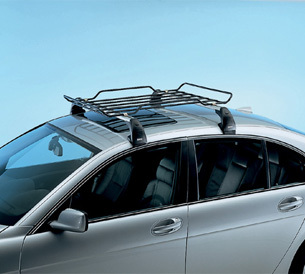 Tension Straps - Made of high strength anodized aluminum- this multi-functional luggage rack comes with a new attractive design. Optional tensioning straps are available separately. (Requires Base Support System).